So, since I kept posting work-in-progress photos of these guys, I thought I'd post a shot of the finished product. These dogs have arrived at their new home! 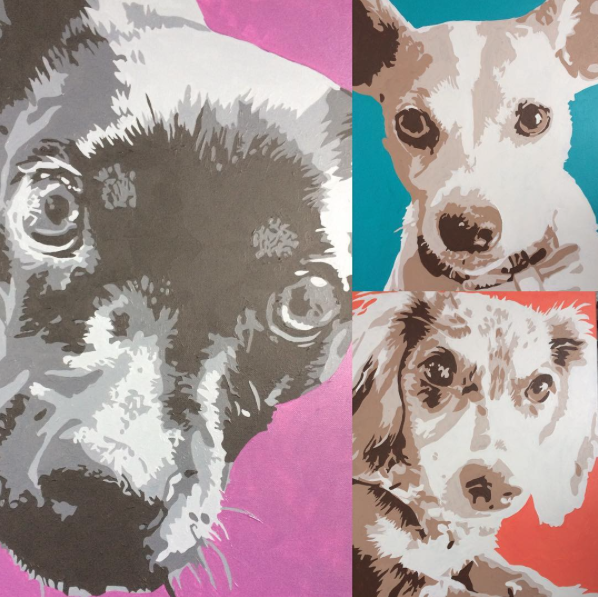 These three puppies, one of whom is an Instagram Celebrity (@MaryToddLincolnCoffman) will soon have their likenesses hanging above their parents' sofa. Or...at least that's what I think. For more work-in-progress shots of what I'm working on now, you can follow me at @Jonezee85 on Instagram. For more info on having a portrait painted of your dog or loved- one, you can visit www.sarahjjonesart.com!